There are multiple advantages of having a fast loading site. The most obvious is enhanced browsing experience that leads to visitor satisfaction. People have tried to adopt multiple ways to enhance speed of websites. There are many factors that can contribute to faster loading of web pages or websites. Among so many attributes that are being debated, people have missed a very significant component of the entire gamut of web hosting and that is role of web hosting services. When you are browsing a website, you are actually requesting content from remote web servers. The speed of delivery of intended content is directly proportional to the speed of executing requested content by remote server. This underlines need to select right web hosting service provider that offers high performance hosting. There are thousands of requests and inter-related codes that are being handled simultaneously by web server and such workload can also potentially impact speed and cause delayed page loading. Site speed can be further affected in case of database websites that are designed to handle large content. Searching for relevant content from massive databases is an extremely code intensive process. 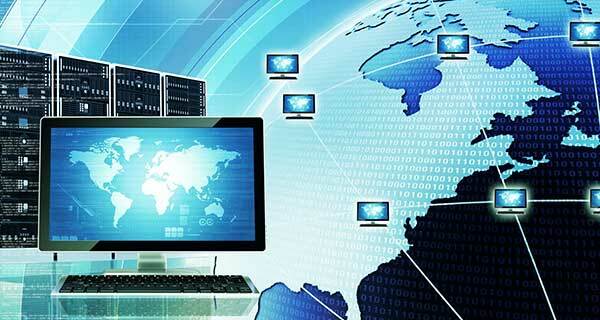 Such critical search operations need to be backed by efficient web hosting services. Sophisticated hard drive- If your web hosting service provider is using Solid State Drive servers than speed of loading process is considerably enhanced as against traditional hard drives. Positioning of vital resources- Locating databases on same server is an important aspect of high performance web hosting that supports faster page loading. Positioning of data on different servers can impact the speed significantly. This is a common scenario in shared hosting. Exclusive resource availability- Performance of website can be compromised if the resource availability is not properly taken care of. It is found that shared hosting environment can lead to excessive resource consumption by other users that can cause starvation of resources and slow page load speeds. Ideally, VPS and dedicated hosting are the preferred versions of hosting for privacy of hosting and assured availability of resources. Superior resources- There is a vast difference in terms of quality of resources offered by different hosting service providers. It is observed that high end web hosting plans are backed by greater processing power and higher memory. These superior resources can collectively enhance speed of site loading by speedy execution of requests. Many times it is observed that higher versions of web hosting plans are associated with blazing fast performance of websites. One of the easiest ways to enhance site speed is to adopt higher packages of hosting. It is proved that a simple migration from shared hosting to VPS hosting can accelerate site speed by a whopping 62 percent. This is extremely important if you are using resource intensive applications such as Magento or Joomla. There have been extensive discussions and deliberations about significance of site speed in terms of many objectives such as SEO or great website traffic. It is a well accepted fact that a negligible delay of few seconds can lead to loss of large number of visitors or potential customers. SEO advantages of faster loading sites are also actively considered by many web experts. It is found that page load times may not have impact on site loading times. Whatever may be the case, the significance of faster page load speeds for enhanced visitor experience cannot be denied. It is obvious that waiting for web page to load can be extremely frustrating and can lead to abandoning the search by visitors. Page loading speeds can be accelerated by shifting website to higher version of hosting or choosing a web host that leaves no stone unturned for providing state of the art resources to customers. Website loading time is of utmost importance for ecommerce ventures. This is because today’s online shoppers are showered with choices. They are also highly impatient and in a hurry to find what they are looking for. This underlines importance of faster page loads as your online store can look forward to higher footfall.